There are several benefits to working with our experienced team at WeBuyDouglasHouses.com. We close fast, we do fair deals, and we provide excellent customer service. As Douglas County, Nebraska’s #1 house buyer, you can count on us to get you the most cash possible for you home. For whatever the need to sell your home fast, we will get the job done. We specialize in residential sales throughout Douglas County, Nebraska. We are fully licensed and accredited in the state of Nebraska. 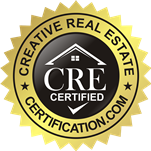 We have a phenomenal team of employees, all of whom are real estate experts. Based locally, we have helped homeowners in Omaha, Bennington, Ralston, Valley, Boys Town, Waterloo, Kings Lake, Venice, Briggs, Debolt, Elk City, Irvington, and Lane sell their homes. Because we have been working in the areas for so long, we know and promise to get you the best value for your home possible to get you the cash you need. Call us today at 402-936-0582 to learn more, and to start selling your home today.